at the The Nacul Center, 592 Main St., Amherst, MA. Join the Pioneer Valley Folklore Society by entering your email address in the form below. Participate in our interactive Google Group where you may post folk-related announcements, comments and questions. The Nacul Center , 592 Main St., Amherst, Mass. Each month a special guest performer is featured. Admission is free (we pass the hat for the performer). Come to tell a story, sing a song, or just to listen. 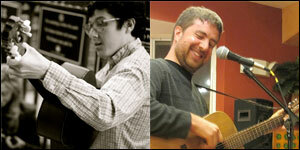 The Song & Story Swap is held on the first Saturday of each month. All events at The Nacul Center beginning at 7:00 p.m.